Ready for driverless cars, Houston? Well, they’re coming, ready or not. Researchers, business leaders and elected officials are about to turn Texas into the biggest laboratory for connected cars in the nation, with the likeliest place to spot a self-driving car in Houston along the high occupancy vehicle and toll lanes along some of the region’s busiest freeways. Officials are moving quickly to create a welcoming environment for the vehicles and the scientists and engineers who will fine tune them, though safety standards and even testing methods remain a work in progress. “We want companies to come to Texas and develop (autonomous and connected vehicle) technologies,” said Christopher Poe, assistant director of the Texas A&M Transportation Institute and head of the agency’s connected and automated vehicle program. In the Houston area, some of the first tests could be along high occupancy vehicle and high occupancy toll lanes where the cars could drive themselves in typical situations and then cede control to a person for stop-and-go traffic, Poe and others said. To prepare for the cars, the A&M transportation institute and the Texas Department of Transportation earlier this month forged an agreement that allows researchers to test wireless-connected and automated vehicle technologies on state highways. The agreement will pave the way for installing devices on state highway rights of way such as signs readable by automated vehicles and even detectors that can communicate with cars to provide traffic information and even control traffic signals. 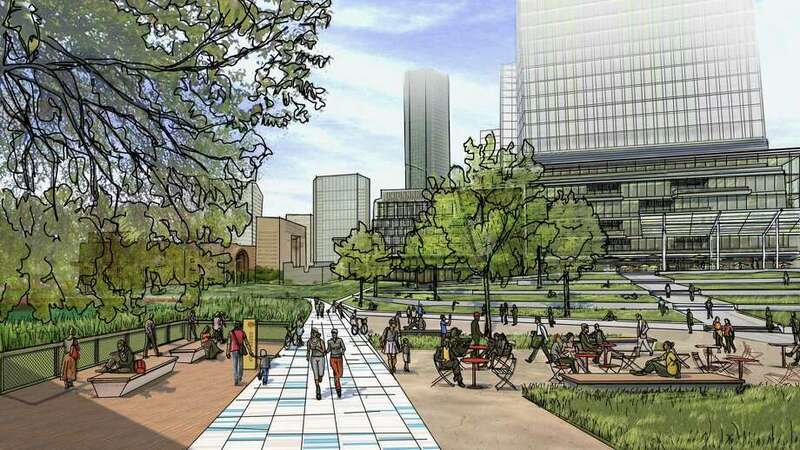 The development will take automated cars from closed areas such as the Texas A&M’s RELLIS campus west of College Station to the streets of Texas cities. 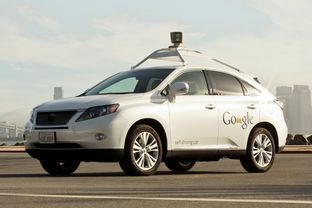 Before that, however, researchers and local officials in various Texas cities will develop locations where certain driverless vehicle technologies can be tested. In Houston, officials have identified the Texas Medical Center, high occupancy vehicle lanes maintained by Metropolitan Transit Authority and the Port of Houston as potential live testing locations. Austin, Dallas-Fort Worth, San Antonio and El Paso also are readying for live testing. Plans are to test facets of connected cars, such as traffic signals that could relay information and communicate in the Texas Medical Center, or autonomous vehicles that could lug freight from the docks of the Port of Houston to a central sorting operation. Freight, along with public transit, are two transportation sectors in which businesses and local governments see the most potential for connected and autonomous vehicles. Texas, meanwhile, is ripe with opportunities for both, with increasing demand predicted for both trucks, freight rail and options other than solo driving in the state’s largest metro regions. Local officials, especially Metro transit leaders, are particularly eyeing a western stretch of Westheimer, said Terence Fontaine, the transit agency’s executive vice president and chief innovation officer. The 12 miles of road between Loop 610 and Texas 6 – technically part of the state highway system as FM 1093 – is a major thoroughfare and big headache for drivers, with stops and starts because of traffic flow and seemingly ill-timed traffic lights. There’s a lot more, so go read the whole thing. Much of this isn’t about fully autonomous vehicles but about integrating traffic and transportation systems to be able to work with those vehicles when the are ready, and as noted above there’s a light-synchronization piece for Metro. In the meantime, there’s a pilot program coming. 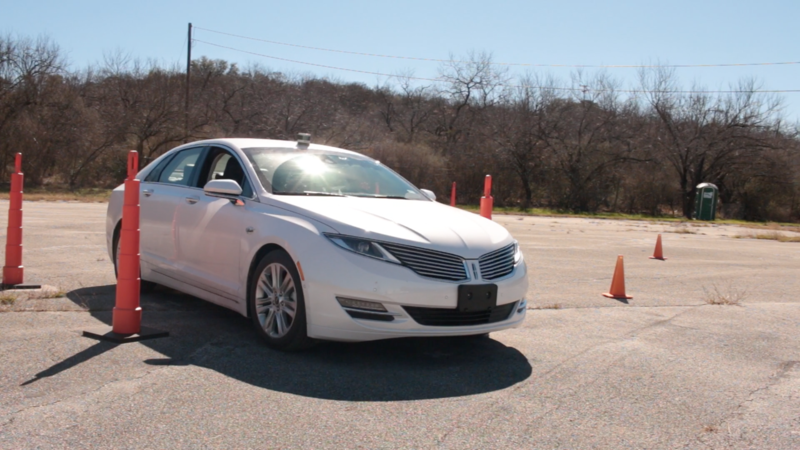 A program piloting self-driving vehicles around Texas, starting at closed facilities but one day moving to busy streets, will join nine others as the first proving grounds in the U.S. for autonomous vehicles. U.S. Department of Transportation officials made the announcement late last week, among a dash of decisions in the last days of the Obama Administration before federal offices handed power to Donald Trump and his cabinet. The proving grounds are a significant step in helping develop cars and trucks that can safely travel on American roads, including setting the standards for what regulations will oversee vehicles moving autonomously. “This group will openly share best practices for the safe conduct of testing and operations as they are developed, enabling the participants and the general public to learn at a faster rate and accelerating the pace of safe deployment,” Transportation Secretary Anthony Foxx said Thursday. Under terms of the proving ground program overseen by federal officials, the proving grounds will be operational by Jan. 1, 2018. Can’t wait to see what that looks like. Beyond this, consumer testing is farther out because Texas law hasn’t been updated to accommodate it. One such attempt in the last session went down to defeat after Google and other manufacturers didn’t like what was in it. I’m sure something else will get introduced this year, so we’ll see if it is more successful this time. Are you ready to look over at the car next to you and not see someone in the driver’s seat? Who’s afraid of Uber’s driverless car test? Transportation safety officials, at least some of them. [Roger Cohen, policy director for Pennsylvania’s Department of Transportation] and Bryant Walker Smith, an autonomous-vehicle expert at the Center for Internet and Society at Stanford Law School, are both comfortable with the tests because of the safety drivers. Still, they acknowledged that doesn’t mean it will be collision-free. 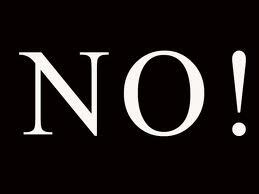 “You’re not going to have perfection. There is going to be trial and error, and it’s not going to be problem free,” Cohen said. See here for some background. We’ll get some data on the safety question one way or the other, and while I’m wary of this it is important to remember that the point of comparison is not “no problems at all” but “the amount of problems one would expect with human drivers instead of robot drivers”. These things could experience some problems and still be an improvement in safety. Or not – like I said, we’ll find out. I’m more interested in the rider experience. How many of Uber’s customers that they have invited to give this a try will do so? What will they think, and how many of them will want to do it again? How will the people who aren’t invited to try this feel about it – jealous, relieved, something else? I can’t wait to hear the answers. The world’s first self-driving taxis will be picking up passengers in Singapore starting Thursday. Select members of the public will be able to hail a free ride through their smartphones in taxis operated by nuTonomy, an autonomous vehicle software startup. While multiple companies, including Google and Volvo, have been testing self-driving cars on public roads for several years, nuTonomy says it will be the first to offer rides to the public. It will beat ride-hailing service Uber, which plans to offer rides in autonomous cars in Pittsburgh, by a few weeks. The service will start small — six cars now, growing to a dozen by the end of the year. 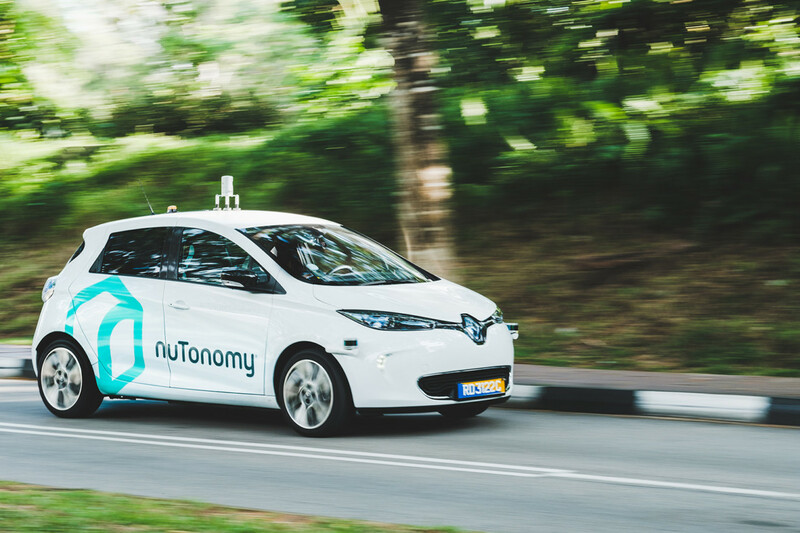 The ultimate goal, say nuTonomy officials, is to have a fully self-driving taxi fleet in Singapore by 2018, which will help sharply cut the number of cars on Singapore’s congested roads. Eventually, the model could be adopted in cities around the world, nuTonomy says. For now, the taxis only will run in a 2.5-square-mile business and residential district called “one-north,” and pick-ups and drop-offs will be limited to specified locations. And riders must have an invitation from nuTonomy to use the service. The company says dozens have signed up for the launch, and it plans to expand that list to thousands of people within a few months. Uber is planning to roll out its driverless car pilot in Pittsburgh shortly, but they will not be first in line. The claim that driverless cars will ultimately solve traffic congestion is one of which I remain deeply skeptical, but we’ll see, perhaps sooner than I think. In the meantime, you can read more about NuTonomy, which has its origins at MIT, and this pilot test here, here, and here. Would you ride in one of these things? The story notes that Uber has acquired Otto, the startup company that provided kits for driverless trucks. As you know, I remain skeptical, not of driverless cars themselves – I have no doubt the technology is coming, probably sooner than I’m comfortable with – but of the grand predictions of how they will reshape society. I think the questions are more complicated, and the time frame is longer, than some people think. But who knows? I’m sure the lure of free rides will give Uber plenty of demand for this test, and there will be much to learn from it. I’ll be very interested to see how it goes. And hey, driverless Ubers sure would solve that pesky background check issue, elsewhere. The Wall Street Journal, Kevin Drum, the Guardian, and the Chron’s Chris Tomlinson have more. 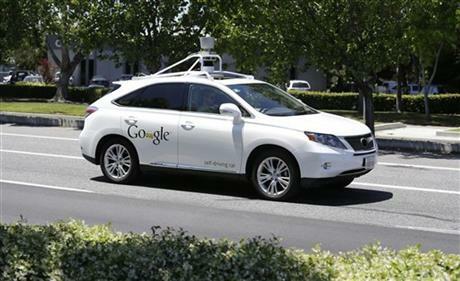 To many, that might seem a frightening idea, even at a time when a few dozen of Google’s driverless cars are cruising city streets in California, Texas, Washington and Arizona. “Our goal is to make trucks drive as humanly as possible, but with the reliability of machines,” Levandowski says. Otto hasn’t set a timetable for completing its tests, but hopes to eventually retrofit all the U.S. trucks on the road. That would encompass more than 4.7 million trucks, according to the American Trucking Associations. The trade group hasn’t taken a stand on self-driving technology, but may draw up a policy later this year, said Dave Osiecki, executive vice president and chief of national advocacy. “We are paying close attention because this could be huge for trucking in terms of labor costs and safety,” Osiecki says. Levandowski insists self-driving trucks aren’t as scary as they might sound. Robot truckers are less likely to speed or continue to drive in unsafe conditions than a human, and will never get tired. Between 10 and 20 percent of the roughly 4,000 fatal accidents in the U.S. each year involving trucks and buses are linked to driver fatigue, based on estimates gathered by the National Academies of Sciences, Engineering and Medicine. “It’s really silly to have a person steering a truck for eight hours just to keep it between two lines on the highway,” Levandowski says. Here’s Otto’s website if you want to learn more. There’s a lot of logic to this idea – a lot of highway driving is open road, with little skill needed to keep things rolling. Having a human driver on board who can rest during the long, boring parts and be ready for the more challenging segments of the drive makes sense, and with the human driver still in the picture it won’t threaten the parts of the rural economy that depends on truck traffic. It’ll be interesting to see how this goes, especially if Otto markets itself at the drivers. One curious bit from this NYT writeup. Not sure where they get that idea, because bills relating to driverless cars have not made it out of the Legislature. It may be that this relates to state and federal roads – i.e., the highways – and not local roads, for which legislation is needed to allow access. I’d have to do more research on that. In any event, this is something to keep an eye on, even if the name Otto has some possibly unwanted connotations, at least for people of my generation. Tech Crunch has more. Four years ago, Helsinki launched an innovative bus service as part of a long-term plan to make cars irrelevant. It was called Kutsuplus—Finnish for “call plus.” And it was one of the world’s first attempts to reinvent carpooling for the algorithm age. The service matched passengers who were headed roughly in the same direction with a minibus driver, allowing them to share a ride that cost more than a regular city bus but less than a taxi. It was a bit like anUber for buses—or more accurately, likeUberPool—except that Kutsuplus was running for nearly two years by the time Uber got into the ride-sharing side of its business. Operated by the Helsinki Regional Transport Authority, Kutsuplus was the best-known component of Helsinki’s and Finland’s intelligent traffic system. Ridership grew steadily. But late last year, Helsinki authorities shut down Kutsuplus, deeming its cost to taxpayers too high. The blue minibuses picked up their last passengers on December 31. For passengers, the system was fairly straightforward. You would log onto a website, top up your account, select the starting and ending points for your journey, and walk to the closest bus stop to wait for the pick up. The average fare in 2014 was around €5—about US$5.50. By comparison, a single ride by bus or metro is €3. Taxi fares start at €6 and can go much higher depending on the distance traveled. The project had two main targets: assessing technological feasibility and user acceptance. Judged on these goals, it was a success. Riders took to it. The growth rates matched what the researchers had projected: Eventually the system had 21,000 registered users. Two things ultimately killed Kutsuplus. First was the need for massive scale to make the economics of ride-sharing really work. Second was the significant public cost of doing that. The transport authority had big expansion plans for Kutsuplus. From the original 15 buses, the fleet was to grow to 45 vehicles in 2016, 100 vehicles in 2017, and later into the thousands. Achieving scale with this model is crucial in order to optimize trips across an entire fleet. With a small number of buses and users, it’s more difficult to match up passengers who are going in the same direction around the same time. This explains why Kutsuplus buses were frequently close to empty. The two times my family and I used Kutsuplus, we had the bus to ourselves. The math looks different if you add lots of riders and lots of buses. Scaling up to 100 vehicles would have increased the efficiency of Kutsuplus threefold, Rissanen says. Hietanen agrees. “There’s a huge difference between mass transit that works in some areas some of the time, and mass transit that works everywhere all the time,” he says. Scale could not come without funding, however—and in an austere budget environment, that was a problem. 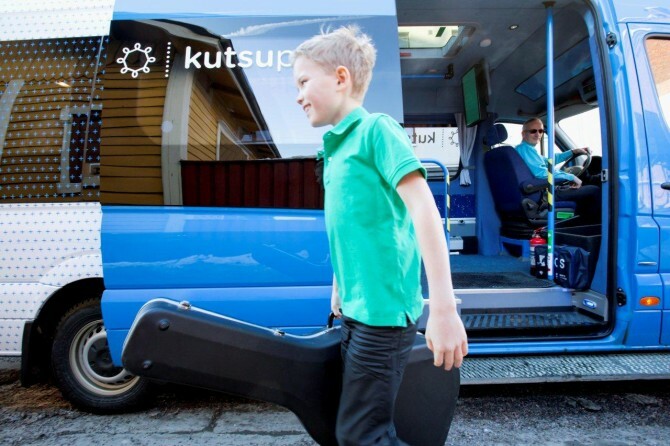 Although the €3 million it cost to run Kutsuplus was less than 1 percent of the Transport Authority’s budget, the service was heavily subsidized. The €17 per-trip cost to taxpayers proved controversial. Rather than investing many millions more into Kutsuplus to bring it to scale, city officials backed away. They let the pilot come to an end. Rissanen wasn’t happy with the decision. See here and here for some background on the Kutsuplus service. Thomas highlighted this story in a comment on my post about driverless cars and the future of mass transit, in Houston and elsewhere. Kutsuplus is an awful lot like what Tory Gattis had hypothesized, except that these vehicles still had human drivers. Given the economic factors cited, it may well be that taking those human drivers and their salaries out of the equation would have made this viable, but we’ll have to wait awhile to know that for sure. (Although there are some services like this in other cities, including New York and Washington, DC, so perhaps we’ll have a better idea sooner than that.) A couple of points to note here: One is that the reason this system came about is because Helsinki’s existing mass transit system has a key flaw: its buses run mainly north-south, so taking east-west trips are hard to do. Two, despite the initial success of the Kutsuplus, there’s no evidence to suggest it caused any reduction in driving. To be sure, it may not have lasted long enough for an effect to be seen, and as we know from Christof Spieler, it’s not about getting people who drive now to stop and change what they’re doing. It may be this was a glimpse of our future that was snuffed out before it had a real chance to succeed, and it may be that this was another pie-in-the-sky vision from people who will support any form of transit except the ones we have now. 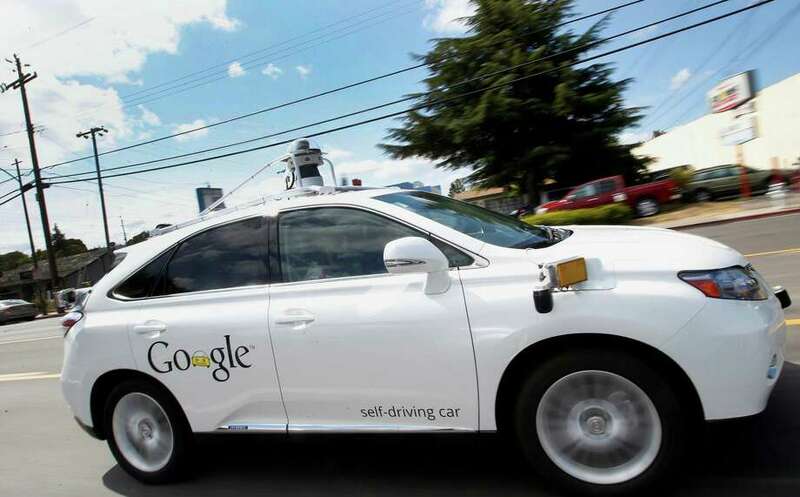 Will driverless cars fix Houston’s traffic problems? Tory Gattis thinks they might. Customized SUVs could be made with private individual compartments, so that passengers traveling in generally the same direction could share a ride without interacting. When vehicle pulls up, an indicator could tell you which door to enter for your compartment, then alert you again when it’s time for you to get out based on the destination you put into your smart phone. A private ride combined with shared prices and efficiency: the best of both worlds. The impact on traffic congestion could be dramatic, as fewer vehicles carry more riders. Analysis by MIT, Stanford, and others estimate that shared rides could reduce the number of vehicles needed to carry the same number of trips by 70 to 90 percent. Quite the silver bullet to reduce traffic congestion! Then there’s the icing on the cake: Automated drivers are expected to dramatically reduce crash injuries and space required for parking, which will free up a tremendous amount of much-needed land in our cities. All indications are that these super-cheap, point-to-point autonomous taxi services will essentially replace most bus and rail transit: Most trips would be much faster and more direct at nearly the same cost. 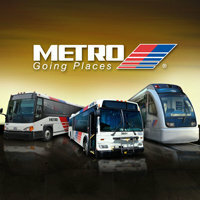 In fact, transit agencies like METRO may switch their fleets to such vehicles, providing better service to their customers. Helsinki’s transit agency is already a pioneer of this transition, offering on-demand mini-vans available via smart phone app. Gattis goes on the describe Managed eXpress Lanes — MaX Lanes, for short – as a way to efficiently ferry around all those multi-occupant driverless SUVs. I have no doubt that driverless cars are coming and that they will change how we do cars – indeed, I have good reason to believe that. What I’m less sure about is the effect it will have on how people behave. As cheap as this form of “mass” transportation may be, people aren’t just motivated by price. Status, comfort, convenience, luxury, self-expression – these are all things people look for in their mode of transportation, and there’s no reason to think that will be any different with driverless cars. In a utopian world, as my colleague Brian Fung writes, driverless cars would make everything more efficient. You’d never have to waste time looking for parking. Cities, in fact, could get rid of it. Vehicles that today sit empty most of their lives could be put to maximum use instead, transporting one passenger after another. This ideal scenario, though, assumes some kind of all-knowing central dispatcher: a company, or service, that would distribute cars to serve the most people the most effectively, with an omniscient eye on the entire network. 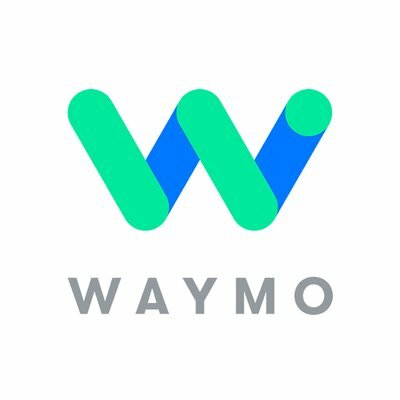 And, as more companies dive into this space — General Motors and Lyft announced an eye-popping new partnership Monday — it’s tempting to think we’re witnessing the start of an epic battle for the coming autonomous monopoly. Who will get there first, winner-take-all? 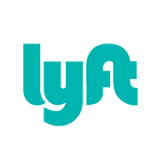 General Motors working with the ride-hailing startup Lyft? Or Ford, as it’s rumored, teaming with Google? Toyota? Or Uber, which seems to think it doesn’t need a traditional automaker ally at all? None of these companies will, he predicts. That’s because autonomous cars will require the same market segmentation we already have today (whether consumers want to own these vehicles or share them or use some hybrid service in between). “If you think the rich people on the Upper East Side of Manhattan are going to get into just a lowly old car, I don’t see that happening,” King says. They’ll want the Audi of autonomous cars, while you may gladly hitch a ride in the Kia equivalent. And even if I’m not truly driving a sports car myself, I may want to ride in something that feels sporty. Sure, a ride in that automated Uber SUV may be cheap, but I’d bet a lot of people would be willing to pay extra to not have to share the ride. I mean, unless you’re the last person picked up and the first person dropped off, a part of your ride will be spent going to and from other people’s pickups and dropoffs, and who wants to spend all that excess time in a car? Note that this is not the case with plain ol’ mass transit – you get on and off at your stops, with no extra side trips. Also, maybe you like listening to your tunes through the car’s stereo system instead of earbuds. Maybe you just don’t want to be in a car with other people, even if you can be hermetically sealed from them; I confess, this “SUV with individual compartments” idea conjures for me images of being packed into a carton like eggs, or slotted like a LEGO action figure into a car built with the iconic bricks. And while the egg carton individually-compartmented SUV might be a great deal for daily commuters who travel on predictable schedules, the fact remains that a fair number of our driving trips are spontaneous and unplanned – “Hey, let’s go out to dinner tonight”, “Sure, I’d love to meet you for a movie that’s starting in 30 minutes”, “Dad, I need to go to Jenny’s to work on our science project”, “He’s got a fever and he’s barfing, we need to get him to a doctor”. How much tolerance will people have to wait for a robot car to pick them up? (Side question: How many of these driverless Ubermobiles are going to have to be on standby for this, and where will they be when they’re not in use? Idle cars do not maximize profits, and as with commuting people may not want to make three or four other stops before they get where they want to go, especially if they’re in a hurry.) It’s not like car manufacturers are going to stop marketing to individual owners (*), after all. And if owning an automated car is as common and pervasive as owning a car is today, then we may not get any reduction in traffic at all. We’re starting to see professional reports echoing long-standing concerns about how driverless cars will affect our cities. This new one from KPMG, in particular, is getting a lot of press. It’s actually a focus group study about the transport desires of different generations, but it confirms the thought experiments that many of us have already been laying out for a while. This leads to a nightmare scenario that University of Washington’s Mark Hollenbeck laid out in our recent Seattle Times panel. Paraphrasing Mark: A suburban father rides his driverless car to work, maybe dropping his daughter off at school. But rather than park the car downtown, he simply tells it to drive back home to his house in the suburbs. During the day, it runs some other errands for his family. At 3 pm, it goes to the school to bring his daughter home or chauffeur her to after-school activities. Then it’s time for it to drive back into the city to pick up Dad from work. But then, on a lark, Dad decides to go shopping at a downtown department store after work, so he tells his car to just circle the block for an hour while he shops, before finally hailing it to go home. This is really easy and obvious behavior for a driverless car owner. It reduces the number of cars someone needs to own, and reduces pressure on inner city parking, but would cause an explosive growth in vehicle trips, and thus in congestion (not to mention emissions and other impacts). Just the commute behavior doubles car volumes, because the car now makes a two-way trip for each direction of the commute, instead of just one. And if everyone shopping downtown has a car circling the block waiting for them, well, that level of congestion will far exceed what’s generated by cars circling for parking today. It could pretty well shut down the city. And while increased safety is touted as the single biggest boon from driverless cars, there’s reason to fret about that as well. In other words, we may be farther away from achieving the kind of AI needed to make self-driving cabs and buses feasible than we now think. Of course, none of this may happen. Ultimately, we’re all just guessing. All I’m saying is that we should not rule out the human factor when gaming out how driverless cars will change how we live. We tend to adopt new technology to suit our needs, including the needs we didn’t know we had. Maybe a larger percentage of people in the future will forego buying cars and exist solely on the various forms of mass transit than in the present, but it’s not clear to me that that will happen. We’re a car-centric culture that loves our automobiles and needs to be prioritized, right? I know I’ve heard that argument before. I hope I live long enough to see if that remains the case. (*) Unless of course the Big Government of the future forbids it. If you listen closely, you can hear Ted Cruz’s head exploding. I have a personal stake in this story. 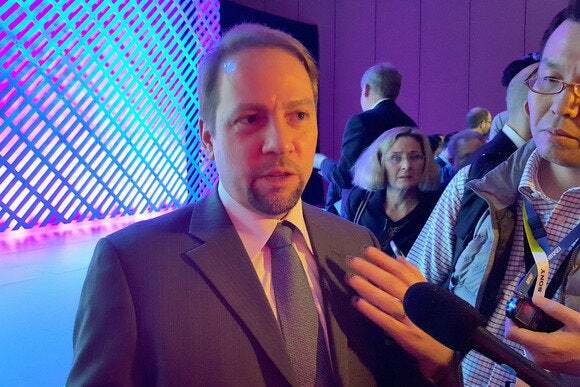 James Kuffner, the head of Google’s robotics division and one of the original team of ten who started its self-driving car work, has left the company for a job at Toyota’s $1 billion research institute in Silicon Valley. Toyota’s billion-dollar investment in the center was only announced in November, but the institute has already opened for business in two locations: one at the Stanford Research Park in Palo Alto and one in Kendall Square in Cambridge. They were chosen for their proximity to Stanford University and the Massachusetts Institute of Technology. TRI’s mission is to take fundamental robotics research into products that can benefit all of society. One of the loftier visions is the development of cars that are incapable of crashing due to their complex AI systems, but the institute will also look at home-help robotics for the elderly and other projects. James is my cousin, and I found this story on his Facebook page in January. Needless to say, we’re all quite proud of him. I talked with him about his work on driverless cars a couple of years ago when we were in Portland visiting family, actually did an interview with him that I hoped to publish here, but we never got clearance from Google on it. I remember him telling me that when they started out, their intent was to make the autonomous cars follow all of the rules of the road, but quickly learned that this was not only impractical but dangerous. For example, in highway merge situations, sometimes you have to exceed the speed limit to ensure safety. They aimed instead at making the car behave more like a median driver, by which I mean one whose behavior is in the middle of the range of how drivers behave. It’s a challenging question to model behavior like this, and my guess is that’s one reason why we are seeing this phased implementation of the technology. Anyway. The driverless car business continues to attract a lot of money and a lot of discussion about what the future of driving will look like. And a member of my family is playing a leading part in that. I think that’s pretty cool. Can you make a living as an Uber driver? Not a very good one, it would seem. Drivers responded by telling Business Insider’s Maya Kosoff that they were often making less than minimum wage, with yearly earnings in the range of $10,000 to $41,000. As I let him off at 30th Street Station, he waves goodbye and thanks me, and says he’s rating me five stars. The fare pops up on my phone: $10.85. The price of almost two beers for 15 minutes of driving! 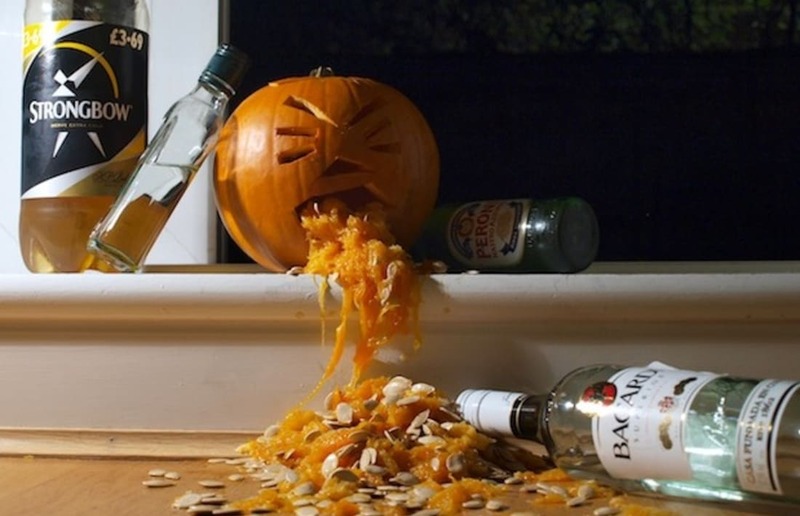 And if my neighbor had taken a cab, with tip, it would have been an even $20. But in the long run, Guendelsberger found that the numbers didn’t add up. One reason was Uber’s massive fare cut, which took place just before she started driving. 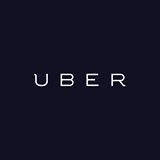 And since UberX drivers aren’t licensed with the company and use their own cars, expenses such as insurance and gas add up, while the car’s value depreciates. I drafted this a few days ago, and since then Wonkblog has noted another data point for this discussion. Yesterday, a group called Requests for Startups released results from a survey of 897 people who’ve worked with 78 different companies that fall into the “on-demand economy” bucket. It’s a rough and imperfect sample, but a time when there’s still precious little data on the characteristics of this new workforce, it gives us some idea of what they’re going through. This has always seemed to me to be a potential Achilles heel for so-called “rideshare” services like Uber and Lyft. They are dependent on there being a steady supply of willing drivers, with new ones coming in to replace those who drop out or cut back. What happens if people stop finding them to be an attractive gig? I presume the answer to that is “Uber offers more pay to its drivers”. What effect that would have on their business model is a question I’m not qualified to answer. I know that the financier types that are busy throwing billions of dollars at Uber are never wrong about anything, but I see this as a reason to be skeptical. Your mileage may vary. “So what?” you may say. Isn’t Uber’s future a driverless car future anyway? Well, someday, I suppose. How far out that someday is matters – five to ten years is a lot better for Uber’s long term plan than fifteen to twenty years would be. There’s also the fact that someone has to own those driverless cars. A huge part of Uber’s appeal to investors is that they basically have no capital costs, and they assume very little risk. All of that is on their drivers. But if our future is one of people owning fewer cars, then doesn’t that suggest Uber will have to own more of its fleet? That in turn would mean they’d need to have employees who manage inventory and maintenance and whatnot. Again, I’m hardly the expert on this, but it seems to me that sooner or later Uber is going to have to change how it does business, and once that happens, who knows? Check back in a decade or so and we’ll see.